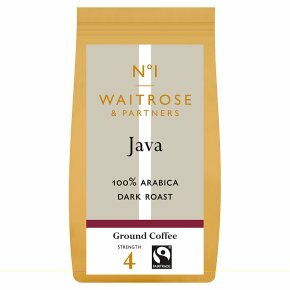 Waitrose 1 Java 100% Arabica Ground Coffee. A distinctly dark, chocolately coffee with an exotic, spicy finish, from estates near the Ijen volcano on the Indonesian island of Java. Strength 4.